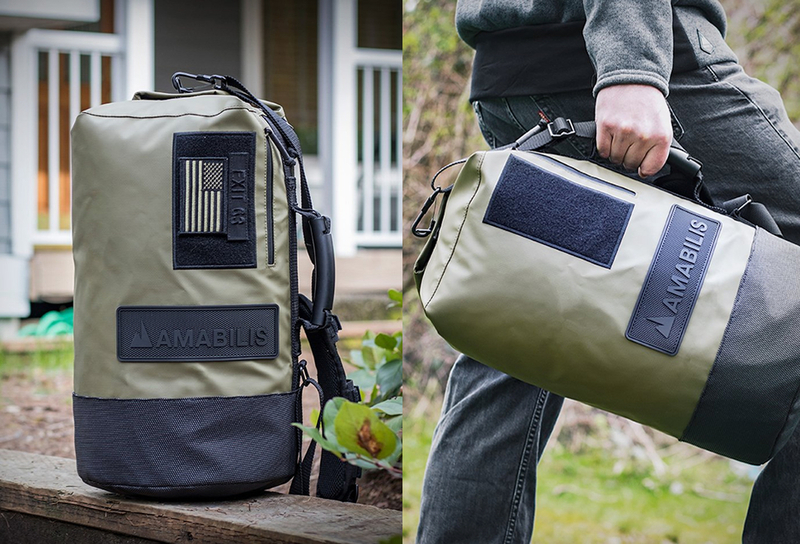 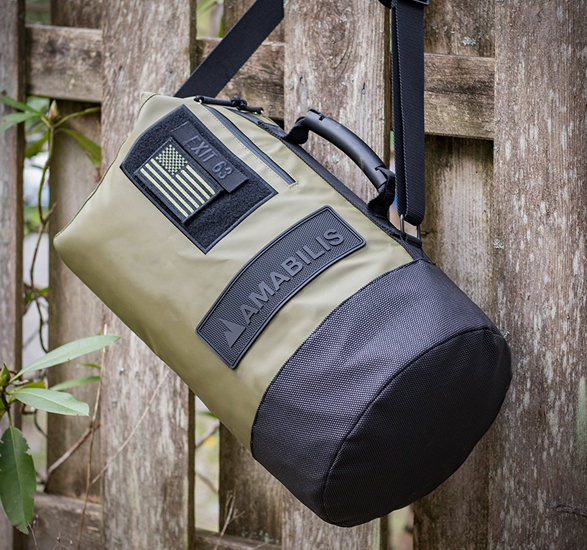 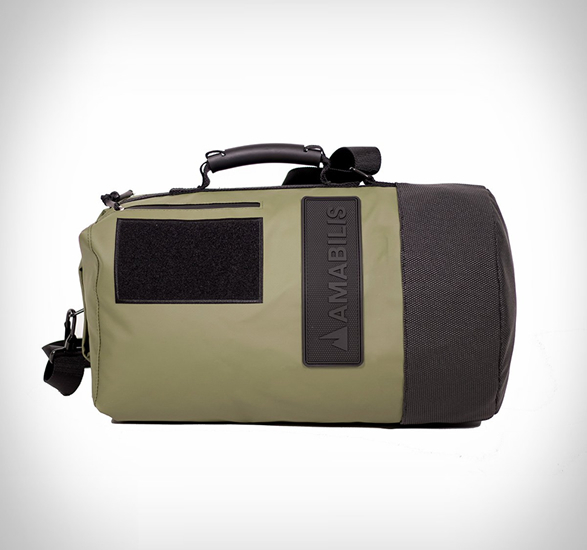 Now available in military green, the popular Dave Jr Duffel by Amabilis is a carry all bag that’s built tough, made to last, and able to withstand hard and heavy duty. 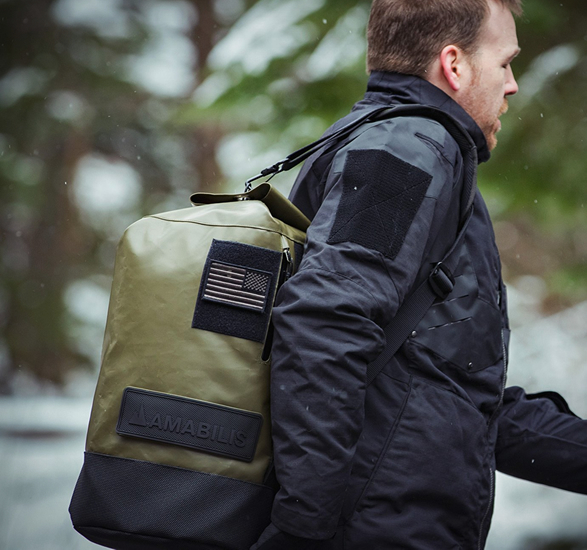 Constructed with 18-ounce waterproof tarpaulin, the rugged duffel bag features an armor-plated SuperFabric bottom, a heavy duty handle, a padded adjustable shoulder strap, YKK zippers, and an outside accessory pocket that provides easy access to your stash. 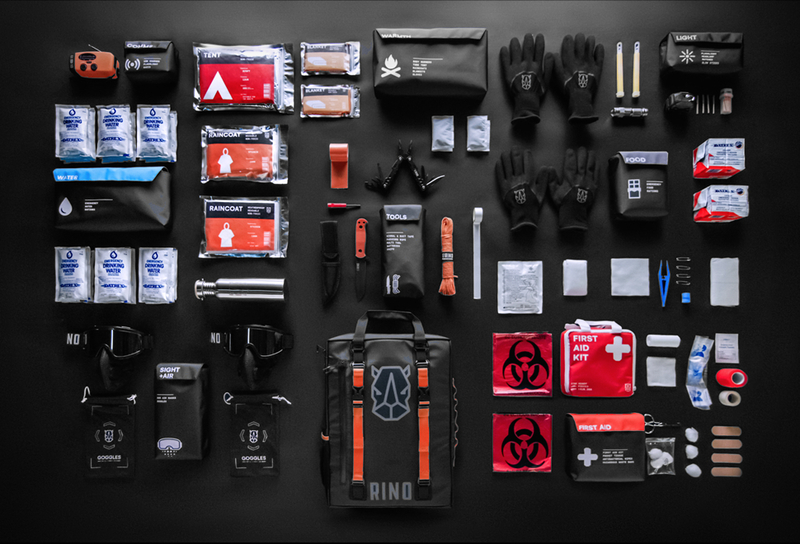 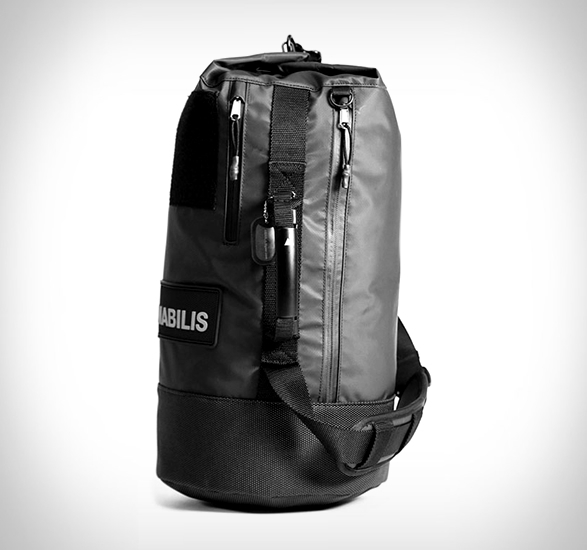 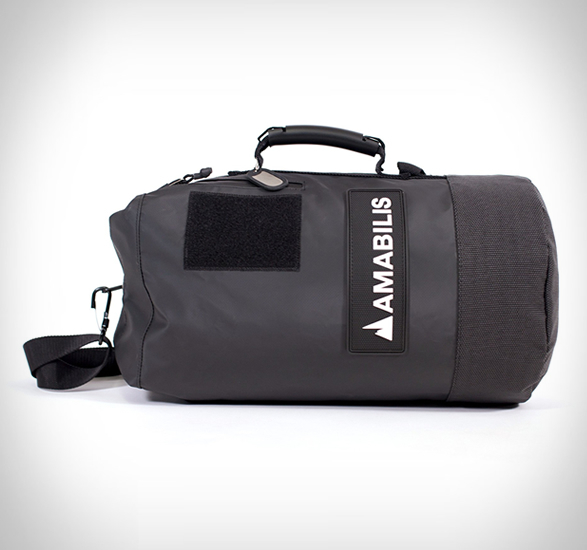 The bag is standard cabin flight size and comes with a lifetime warranty.